Lighting Innovation + Design Inc. supplies state-of-the-art LED lighting products for residential and commercial applications. We proudly provide service to the Southern Ontario region. LiD offers on-site design and installation services. Our knowledgeable team is here to help you assess your lighting needs, develop a scope of work, and coordinate installation. Our goal is to provide our clients with comprehensive information and the tools required to make informed choices regarding their lighting solutions. Call us today to schedule a free on-site quote. Lighting Innovation + Design Inc. has been providing clients with cutting-edge LED lighting technology since 2006. 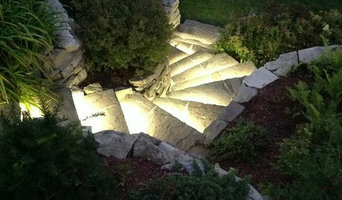 Based in Kitchener, Ontario, LiD opened the first LED Lighting Showroom and Retail Store in Waterloo in December 2010. We subsequently opened our second LED Showroom in Mississauga, Ontario in December 2013. Our Mississauga office is located at 223 Queen Street South, Unit 4, Streetsville - (905) 273-3111 Our NEW Kitchener showroom is located at 549 Lancaster Street West, Kitchener - (519) 747-7200 Lighting Innovation has a full range of LED lighting products which are displayed in application based settings. 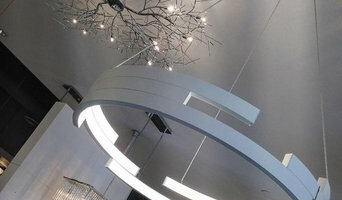 Our showrooms are unique in that we have created environments for our fixtures. This allows our clients to visualize how different fixtures appear in similar settings to where they might be installed. We can discuss plans and concepts as well as demonstrate products that we feel are the best choice for a given situation. As with virtually any product, seeing a light fixture in a similar setting to the one in which it will be installed allows the client to make an informed decision about the right product for their needs. Monster Led Lites was founded with the purpose of producing affordable, effective commercial grade LED lighting to the Canadian market. We design and manufacture LED lighting and customize lighting solutions for each of our customers.We also provide retrofit and installation services across the country and links to Government Energy Savings Programs both federally and provincially(applies to Canada only). Our mission is to continue to provide leadership in Canada in the production of quality, CSA approved LED lighting that will meet the demand foe environmentally friendly and cost effective lighting solutions. 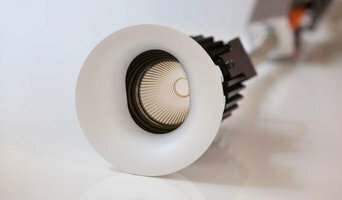 As energy costs continue to escalate, Monster LED Lites plans to be on the forefront of energy saving solutions. The Monster Led Lites Canadian team values reducing carbon emissions in our country and the greater world and strives to continue to advocate for energy rebate programs that will assist individuals and businesses in being able to afford implementing energy efficient lighting solutions. It is exciting to see the rapid progression of the quality of our LED lighting and the ever increasing affordability which will make the conversion to this very green lighting solution a real possibility for individuals and businesses alike. Monster Led Lites is working with companies on the international stage to ensure our products continue to be of the highest quality and maintain our leadership in the Canadian market. Think about how you plan to use each area of your Woodbridge, ON home. It's important to communicate to your Ontario lighting designer which space will be used as an office and which will be a media room, for example, as these will require very different lighting methods. In addition, consider how you'd prefer to control the lights. Lighting technology today includes dimmers, sensors, photocells (that let lights react to the amount of daylight in a space), programmable scene controls (that let you program different settings for varied lighting) and whole-house lighting controls (that let you control all or a portion of your home's lights from one source), allowing you to tailor your lighting controls however you wish. Find a lighting designer on Houzz. Narrow your search in the Professionals section of the website to Woodbridge, ON lighting designer. 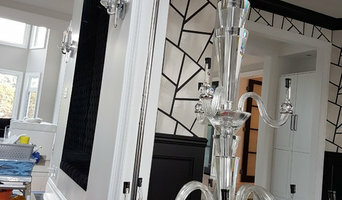 You can also look through Woodbridge, ON photos by style to find a lighting design you like, then contact the designer.